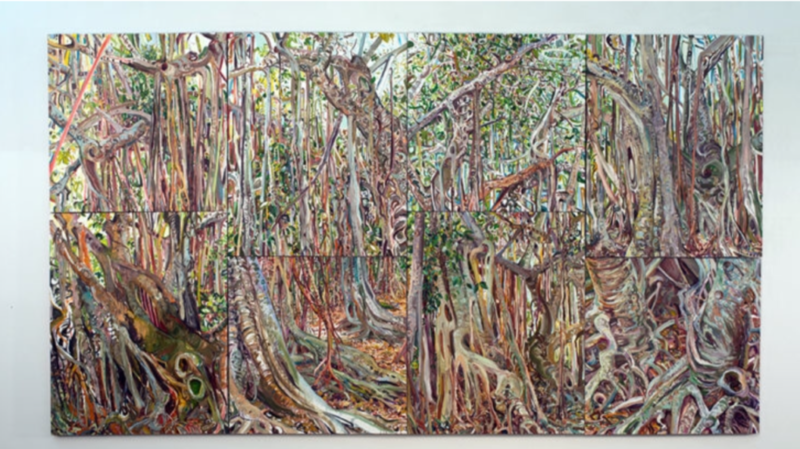 FSU Art Professor Lilian Garcia-Roig will be featured in Relational Undercurrents: Contemporary Art of the Caribbean Archipelago at the Wallach Art Gallery in New York, from June 1st to September 23rd. An opening reception will be on Thursday, May 31, from 6-8pm. Relational Undercurrents presents work by more than 70 artists covering a range of media. This is the first major survey of 21st century art of the Caribbean. Despite the various colonial histories of the islands represented, this exhibition highlights thematic continuities within contemporary art of the Caribbean. The Wallach Art Gallery is located at Columbia University’s Lenfest Center for the Arts, at 615 West 129th St. in New York City. For more information, click here. On Saturday, June 2, starting at 1pm, Garcia-Roig will be giving a gallery talk about her work in the exhibition, “Fluid Perceptions: Banyan as Metaphor”. Other artists talking about their work that day are Edgar Endress, Lisa Soto & Carlos Martiel.